Latest violence follows an attack by Rohingya insurgents on police posts in the remote Rakhine region. Almost 400 people have died in clashes between security forces and Rohingya Muslims in Burma, the country's military commander has said. The numbers, posted on the military's official Facebook page, are a sharp increase on the previously reported toll of just over 100. The statement said all but 29 of the 399 dead were insurgents, whom it described as terrorists. The statement said there had been 90 armed clashes including an initial 30 attacks by insurgents on 25 August, making the combat more extensive than previously announced. Advocates for the Rohingya, an oppressed Muslim minority in overwhelmingly Buddhist Burma, say hundreds of Rohingya civilians have been killed by security forces. 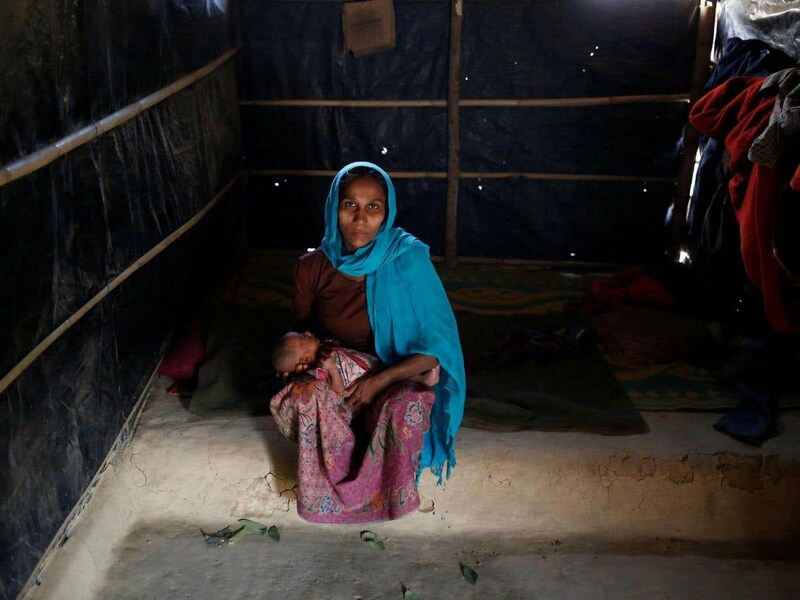 According to the UN, some 38,000 have fled into neighbouring Bangladesh. It comes after Chris Lewa, director of the Arakan Project pressure group, told ABC: "So far reports—I think quite credible—mention about 130 people including women and children killed. "That happened on Sunday when suddenly security forces cordoned [off] the whole area, together with Rakhine villagers. It seems like this has been a major massacre in Rathedaung." The latest violence follows an attack by Rohingya insurgents on police posts in the remote region, prompting a huge military crackdown. The insurgent group that claimed responsibility for last week's attacks, the Arakan Rohingya Salvation Army, said it acted to protect Rohingya communities. Burma's leader, Aung San Suu Kyi has said the "terrorist" attacks were "a calculated attempt to undermine the efforts of those seeking to build peace and harmony in Rakhine state". 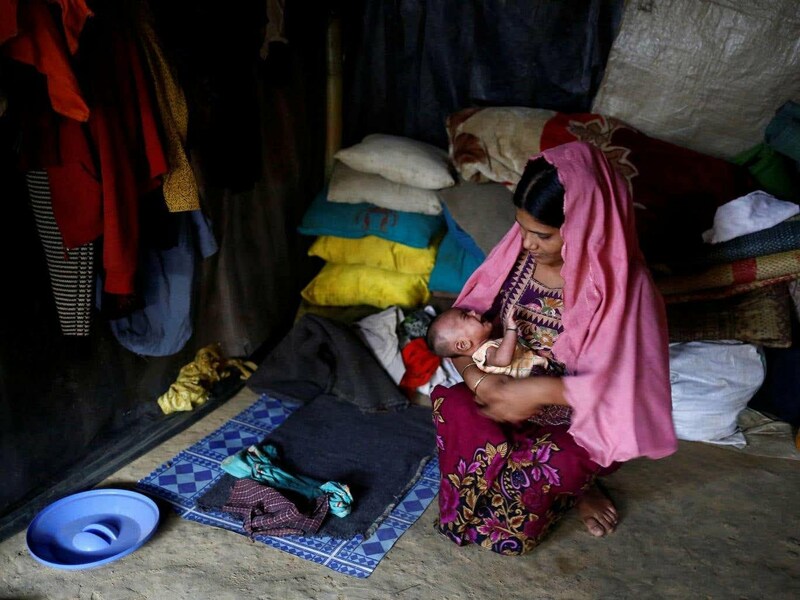 The Burmese government has repeatedly denied claims the Rohingya are facing genocide. It previously brushed away evidence of human rights violations as fake news and "propaganda". Bangladeshi border guards have tried to keep out the fleeing Rohingya, but thousands could be seen on Friday making their way across muddy rice fields. Young people helped carry the elderly, some on makeshift stretchers, and children carried newborns. Some, carrying bundles of clothes, cooking utensils and small solar panels, said they had walked at least three days to get to the border. Five people were killed in front of his house, he said. His family survived the attack but was told by the soldiers to leave. They took a week to reach Bangladesh, hiding in villages along the way, he said. Most of Burma's estimated 1 million Rohingya live in northern Rakhine state. They face severe persecution, with the government refusing to recognize them as a legitimate native ethnic minority, leaving them without citizenship and basic rights.